"A perfect blend of words and pictures," said Storyreader. 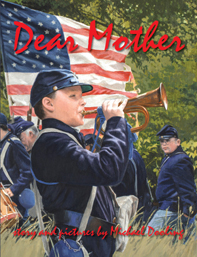 Learn about the Civil War through the eyes of a twelve-year-old bugle boy's letter home to his mother. Soldiers from both the North and the South wrote letters home describing the hardships they endured. Many boys under the age of fifteen, and even some girls masquerading as boys, enlisted as messengers, scouts, drummers, fifes, and buglers. Strange and monstrous bones for your classroom! Author & Illustrator Michael Dooling brings fossil hunter William Foulke's quest for strange and monstrous bones to life. In 1858, Foulke unearthed the first almost complete dinosaur skeleton ever found, proving what dinosaurs looked like and that they really once existed. 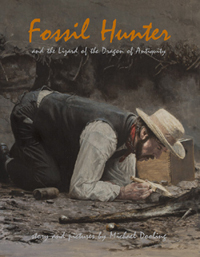 Foulke changed paleontology from a gentlemen's hobby to a mainstream science. 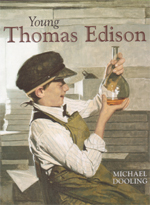 "Michael's stories are a blend of meticulously researched history, grand adventure, lovely art, and just plain cool subject matter--regardless of the reader's gender. Perfect for the reluctant reader, budding scholar, and every kid in between." A poignant story told through the eyes of a young boy and based on letters and diaries of people who marched with the Army. * Currently in Development, 1663 Media Arts, LLC presents an Adventurous, Family-Friendly Film based on the popular Illustrated Children�s Book, George Washington�s Army And Me. 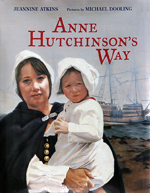 Chosen as a Notable Social Studies Trade Book for Young People 2006 by the Children's Book Council and National Council for the Social Studies. "This exciting account of the race that gave birth to America's first automobile company is accompanied by vivid paintings guaranteed to transport readers to an unforgettable day in our history." "Children will be captivated by this vivid, tongue-in-cheek glimpse of the earliest automobiles and the doughty men who built and rode them to victory." 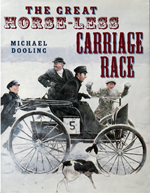 "Dooling has lovingly re-created an era... his spreads convey the icy dullness of the day, the enthusiasm of the onlookers, and even the frenzy of the race." * This book is currently under consideration for a major Hollywood Motion Picture! "The dog's eye-view is well done and refreshing, excerpts from Lewis's actual journal enliven the text, and Dooling's beautiful oil paintings seem just right, as full of action, beauty, danger, and majesty as the land they portray." Nominated for fifteen awards and received the Pennsylvania Young Readers Choice Award 2004, Cochecho Readers Award 2004, IRA Teacher's Choice List 2003, and IRA Parent's Choice List 2003. In 1920's Baltimore, ten-year-old Dorothea struggles to solve the mystery behind her mother�s unlikely friendship with the old black ragman and his possible connection to her mother�s death. As she uncovers clues, Dorothea comes to terms with her loss and learns that �things are rarely what they first appear to be. 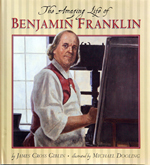 Chosen as an Orbis Pictus Honor Book, a New York Public Library Best Book of Year, and Hornbook Best Book of Year. 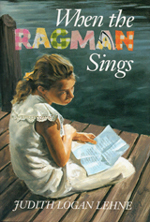 Received starred reviews from Booklist, HornBook, and School Library Journal. The Memory Coat traces the courageous journey of a family of Russian Jews as they uproot their lives, abandon their homeland, and make their way to New York in search of religious and economic freedom. 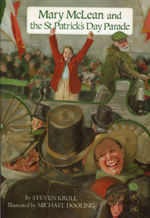 Woodruff�s carefully chosen text and Michael Dooling�s rich, realistic illustrations put young readers in the thick of it, by honestly depicting the sites, sounds, and smells of the immigrant experience. A beautifully illustrated biography of Mary Anning, a child who started looking for seashells and stone sea lilies and ended up discovering fossil remains. The illustrations capture the misty seashore and the people of 18th century England. A good choice for the younger biography section. -Children's Book Review Service Inc.
A sensitive . . . portrait of the real-life discoverer of the first complete ichthyosaur fossil . . . The patience and dogged determination of the unconventional Mary shines through. Historically accurate and visually handsome, this is the best Jefferson biography available for young students. In 1798, Cleveland, Ohio was in danger of being wiped out by a malaria epidemic. Based on fact, this book tells the remarkable story of Seth Doan, a young boy whose heroic efforts kept his family and neighbors alive, and ultimately put the City of Cleveland on the map. Jeannine Atkin's story about one of our country's first heroines and her struggle to uphold what later became our most precious freedom-that of speech-shows the impact of such bravery not only on the individual but also on the family. 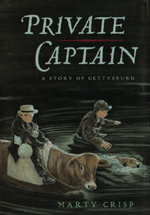 Determined to find his older brother, Reuben, who is off fighting with the Union Army, Ben runs away from home with his brother's dog close on his heels...Marty Crisp weaves together a powerful story about the Civil War with an unlikely group of heroes, including a courageous dog named Captain. 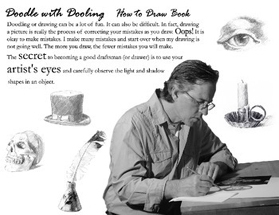 Doodle with Dooling How to Draw ( Downloadable Book) Learn how to see and copy shapes with your artist's eyes. 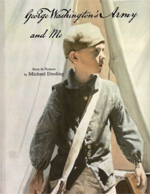 Michael Dooling has illustrated over sixty books and has visited over 800 schools nationwide widening children's eyes with a new awareness of history with his [click here] History through Picture Books School Program.